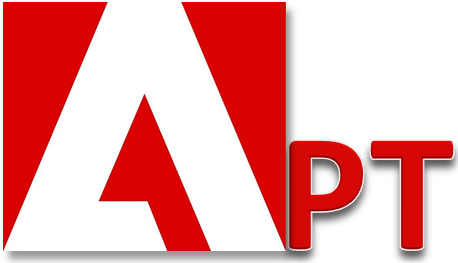 Adobe is the latest victim of a targeted attack. The news has been reported in a blog post by Brad Arkin, Director of product security and privacy at Adobe. According to Mr. Arking the company has recently received two malware strains in disguise of malicious utilities that appeared to be digitally signed using a valid Adobe code signing certificate and has identified the possible reason for the illegitimate code signing in a compromised build server with access to the Adobe code signing infrastructure as part of the build server. The first malicious utility is called pwdump7 v7.1 and extracts password hashes from the Windows OS as a single file that statically links the OpenSSL library libeay32.dll. The second malicious utility, dubbed myGeeksmail.dll, is a malicious ISAPI filter. Of course the forensic investigation is ongoing. To date Adobe has identified the presence of malware on the build server (although the details of the machine’s configuration were not to Adobe corporate standards for a build server, this was not caught during the normal provisioning process”) and the likely mechanism used to first gain access. Although the forensic investigation has found evidence linking the build server to the signing of the malicious utilities, it appears that the private key required for generating valid digital signatures was not extracted from the HSM, which is kept in physically secure facilities. Even, so far there is no evidence that the source code was compromised or stolen. As a natural consequence the company has changed the signing process and has deployed an interim solution including an offline human verification to ensure that all files scheduled for signature are valid Adobe software. Furthermore the company is also designing and deploying a new, permanent signing solution. All the certificates signed with the impacted key since July 10, 2012 will be revoked on Thursday October 4, 2012 (does this means that the build server has been compromised, undetected, for more than two months?). Potentially there could be 5127 applications signed with the compromised key. We believe the threat actors established a foothold on a different Adobe machine and then leveraged standard advanced persistent threat (APT) tactics to gain access to the build server and request signatures for the malicious utilities from the code signing service via the standard protocol used for valid Adobe software. Moreover “Targeted Attacks generate Targeted Attacks” since the malware samples discovered (most of all in case of the pwdump7 “utility”) show the typical features used by Advanced Persistent Threats: compromise one machine, extract information to escalate privileges (see password) and use the initial entry point as a bridgehead to harvest the target network.